Mary Bach won a 2 cents lawsuit against Walmart. Home Business Mary Bach won a 2 cents lawsuit against Walmart. 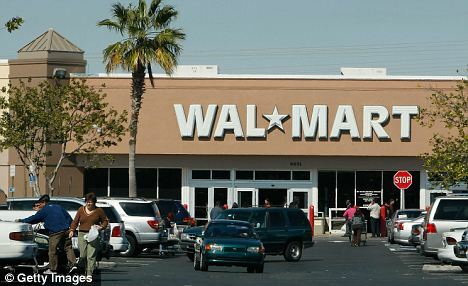 Mary Bach, a Walmart shopper has successfully sued the retail giant after she was charged $1 instead of 98 cents for a pack of sausages. 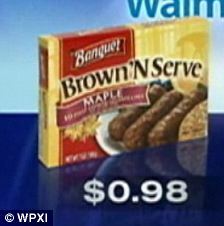 Mary Bach, who has made a habit of taking Walmart to court, was angered when the chain’s store in Delmont, Pennsylvania made her pay $1 for a box of Banquet Brown ‘N Serve sausages, which had been priced at 98 cents. Walmart argued new packaging caused a mix-up on the price, but Mary Bach, a consumer activist from Murrysville, claimed the overcharge was intentional. 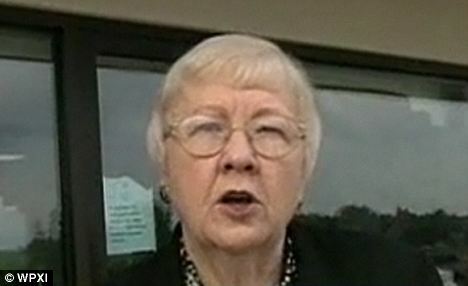 Murrysville District Judge Charles Conway agreed with Mary Bach and ruled the store breached trade laws. The judge awarded Mary Bach $100 in damages, plus $80 in court costs, the Pittsburgh Tribune-Review reported. “This is the fifth lawsuit that I have now won against this store, this Delmont Walmart, for the same problem: practice of putting up a shelf tag that was lower than the price charged at the cash register,” Mary Bach told WPXI outside court. Mary Bach said she hopes her court case will ensure the error does not happen to any other costumers, no matter how small. Mary Bach said the Walmart should be more careful in guaranteeing that prices listed on shelves match what prices scan at the register, the Pittsburgh Tribune-Review reported. “Walmart was wrong. They were overcharging customers. Even though it was a minimal amount, they were wrong,” Mary Bach told WPXI. Mary Bach testified that on August 20 she picked up the sausages, which had a listed price of 98 cents, but was charged $1 when she reached the check-out. “The clerk did everything right when I pointed out the error and refunded me the difference and noted the error,” Mary Bach said. However, six days later, Mary Bach went back to the store to purchase more of the same sausages when the same thing happened, the Pittsburgh Tribune-Review reported. This time Mary Bach was not interested in a refund and she took the store to court. Walmart attorney Timothy J. Nieman argued that Mary Bach, who has a reported 17-year history of legal battles over pricing faults, was not really shopping for groceries, but was looking for her next lawsuit. “Never once have I been questioned by a cashier whether an item I’m purchasing is for my personal use or not,” Mary Bach said. Mary Bach told the court her husband and grandchildren enjoy the sausages on a regular basis. Walmart spokesman Greg Rossiter told WPXI the company tried to refund the money to Mary Bach, but she refused. He said Walmart respectfully disagrees with the decision, and is considering its options. Boston airport: 18 passengers injured after extreme turbulence hit two flights. Amanda Knox: "I did not kill!". Her last plea for freedom.